The SynergyUHD4 imaging platform is a commanding video system offered by Arthrex, featuring an ultra HD 4K programmable camera head, LED “xenon-bright” light source, an image management system, and fiber optic video over IP integration, all in one tablet-controlled device. The network-based system allows live video streaming to any authorized remote viewer. 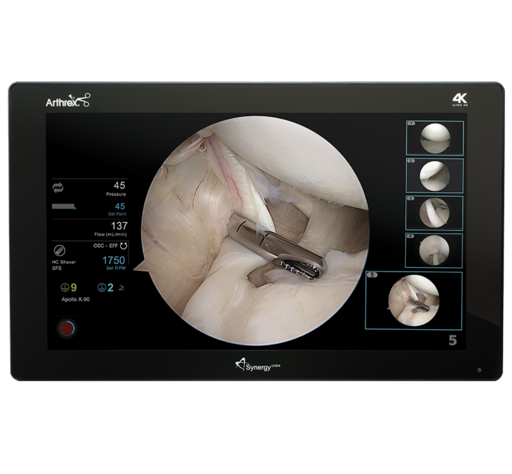 What Completes the Perfect Arthroscopy Picture?